Paul Harbaugh DeLauter, 84, of Foxville Church Rd. Sabillasville, MD, went to be with his Lord and Savior on Monday, February 4, 2019 at his home. Born Monday, May 21, 1934 near Foxville, MD, he was the son of the late Glen L. DeLauter and Daisy (Blickenstaff) DeLauter. He was a graduate of Thurmont High School class of 1954. Paul was a self-employed farmer all his life owning and operating Bushy Hill farm. He also drove a school bus for the Frederick County Board of Education for over 40 years. Paul's love and devotion to the Lord, his wife, and his family, were priority in his life. He led by example with patience, discipline, and humility. Paul is survived by his loving wife of 64 years, Genevieve Lorraine (Rose) DeLauter whom he married December 4, 1954, daughters, Teresa Deal and husband Jerry, Bambi Horvat and husband Thomas, Cindy Hartman and husband Dan, and LaShawn Cox and husband Frankie, son, Keena DeLauter and wife Patty, eighteen grandchildren, several great-grandchildren and numerous nieces and nephews. He was preceded in death by sisters, Kathleen Zeigler, Mary Crane, Minnie Sharkey and Virginia Fenby, brothers, Howard DeLauter, Kenneth DeLauter and Glen B. DeLauter, and grandson, Keena David “Buzz” DeLauter. 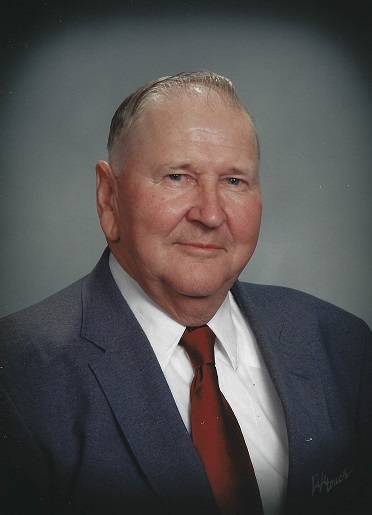 Services will be held Thursday, February 7, 2019 at 11:00 am at J.L. Davis Funeral Home, Smithsburg, MD, with Frank Stottlemyer officiating. Burial will be private and at the convenience of the family in Brown’s Cemetery, Foxville, MD. The family will receive friends Wednesday evening from 6-8 pm at the funeral home. A special thanks to Dr. J. Lee Krantz, Thurmont, Md, his family physician. In lieu of flowers, memorial donations may be made in memory of Paul DeLauter to Hospice of Frederick County at, 516 Trail Ave. Suite C Frederick, MD, 21701 or www.hospiceoffrederick.org. Online condolences may be offered at, www.jldavisfh.com.